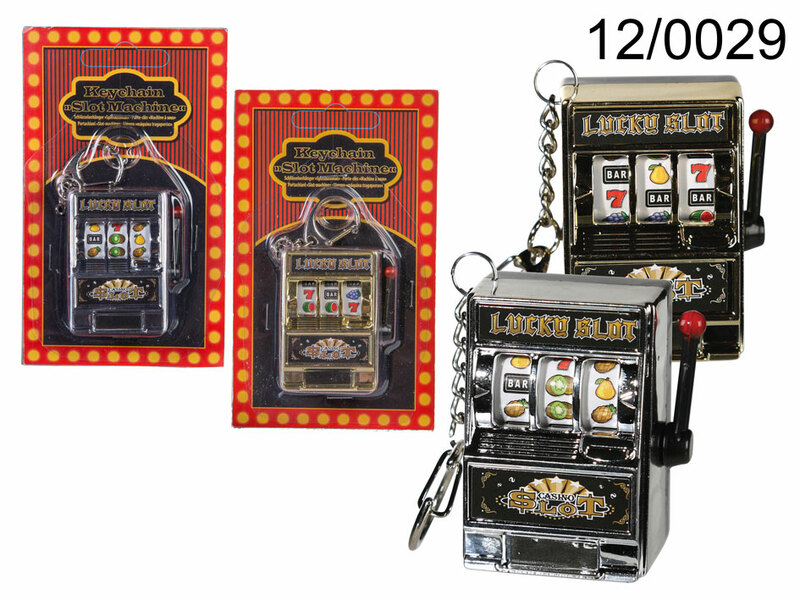 Small plastic slot machine on a metal keychain. Just pull the handle and see if it's your lucky day. Funny item for everyone. Packaging: blister with header card. Several models available - assorted. Size: 12 x 7 x 3 cm.